U.S. Military Starts Producing Vaccines: New Billion Dollar Experimental Vaccine Market? What few people in the United States realize is that the U.S. Government is in the vaccine business. Much of the information regarding the governments ties to pharmaceutical companies is shrouded in secrecy. For example, in 2010 Dr. Eric Suba, who works with HPV prevention in Viet Nam and developing countries, submitted a Freedom of Information Request to the Office of Government Information Services to discover the amount of money the U.S government earns in royalties from Merck’s sale of Gardasil. His request was denied (read it here), on the grounds that the National Institute of Health was “protected from disclosure.” Dr. Suba was one of the authors of a study published in the Lancet that year: HPV vaccination: waiting for evidence of effectiveness. Then there is the issue of the revolving door between the government and the pharmaceutical industry. For example, Julie Gerberding was in charge of the CDC from 2002 to 2009, which includes the years the FDA approved Gardasil as a vaccine. Soon after she took over the CDC, she reportedly completely overhauled the agency’s organizational structure, and many of the CDC’s senior scientists and leaders either left or announced plans to leave. Some have claimed that almost all of the replacements Julie Gerberding appointed had ties to the vaccine industry. 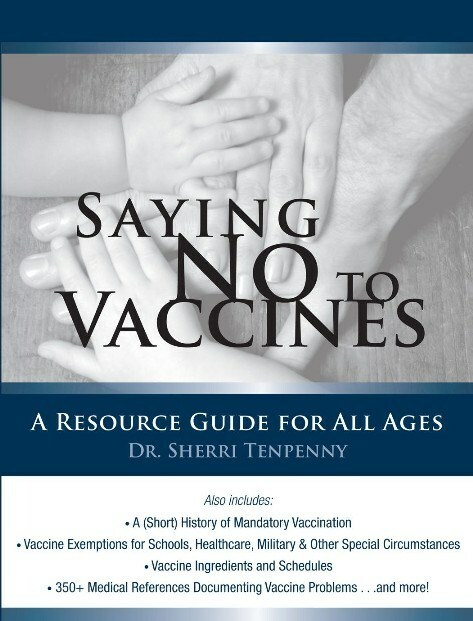 Gerberding resigned from the CDC on January 20, 2009, and is now the president of Merck’s Vaccine division, a $5 billion dollar a year operation, and the supplier of the largest number of vaccines the CDC recommends (article here). And yet the mainstream media continues to state that there is “no controversy” regarding the profitable HPV vaccine, even as other countries begin lawsuits and investigations into serious side effects. As journalist Ben Swann reported recently, the U.S. government has very cleverly suppressed all the dangers of vaccines by passing legislation that prevents anyone from suing pharmaceutical companies in civil court (Video here.) And as financial adviser Michael Belkin so thoroughly documents in his article here, the vaccine market is one of the largest financial bubbles ever created, as it relies on compulsion to sell its products. Now it is being reported that the U.S. military is getting into the vaccine business. And why not? If you read Mr. Belkin’s expose on the finances of vaccine manufacturers, you will see that they are desperate to develop new products to recover lost profits from expiring patents on block-buster drugs. Having the U.S. Military purchase vaccines that are not even FDA approved for “biodefense” purposes is a brilliant marketing scheme. Too bad it also subjects our fine men and women in uniform to be guinea pigs in a great billion dollar vaccine experiment! Wow, what a great market for the pharmaceutical companies! They get to use your tax dollars funneled through HHS to develop new vaccines, and then your tax dollars are used again to purchase those vaccines and distribute to our military, who become basically test lab rats to help then find the next block buster vaccine or drug to unleash on the general population, of whom they have complete legal immunity if anything does go wrong and a bad product gets into the market. And with the skyrocketing rates of autism, post-traumatic stress disorder (PTSD), and myriads of other diagnoses that are probably related to vaccine damages, it increases the demand for other pharmaceutical products to treat those as well. It’s a win, win, win market for the pharmaceutical industry, and a lose, lose, lose way of life for the U.S. military and American public.